Ubuntu Mate Edition 18.04 will be Great for new users! Although I’m what you might call an “advanced” Linux user, I like to keep an eye out for Linux distros that really do awesome things for the casual user. Not only do I like to have a good distro ready for friends and family that want to use Linux, but the software developer in me just enjoys seeing “user-friendly” done well. While there are no shortage of distributions that aim for user-friendliness, and no shortage of opinions on which one is the best, every now and then one distro really kicks it to a new level and builds a product that’s just perfect for new or non-technical users. 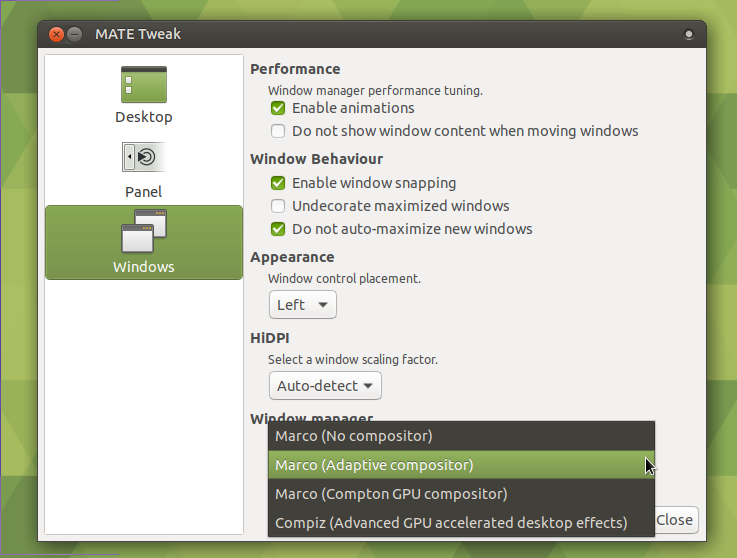 Right now, Ubuntu MATE edition is that distro. While it’s easy to write off Ubuntu flavors as just “Ubuntu with a different desktop arrangement”, it’s clear after some firsthand experience that some of these flavors put in more effort than others (including the flagship spin) when it comes to making new users happy. I was never much of a fan of GNOME 2, and when the MATE desktop project rose from its ashes, I never imagined it would become more than a nostalgia piece for people stuck in the aughts. Happily, was I wrong! MATE has evolved to become a modern contender backed by a mature codebase and a road-tested design that just delivers for the average user. 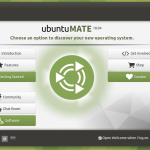 And now, MATE is available on almost any distro; so what makes Ubuntu MATE edition so special? Let’s take a look! In an effort to introduce new users to the features and settings of their new OS, most user-friendly distros will welcome you on your first login with a splash screen, HTML manual, or maybe even a dialog with buttons or links to some common tasks. 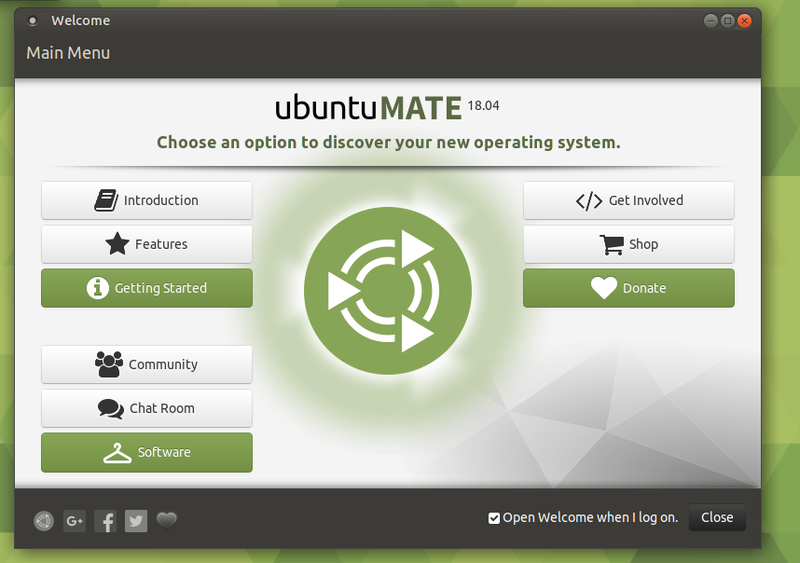 The UME team seems to have realized the ineffectiveness of a static manual and created the Ubuntu Mate Welcome Center, an attractive interactive application that walks you through everything from configuring your desktop to connecting with the online UME community. 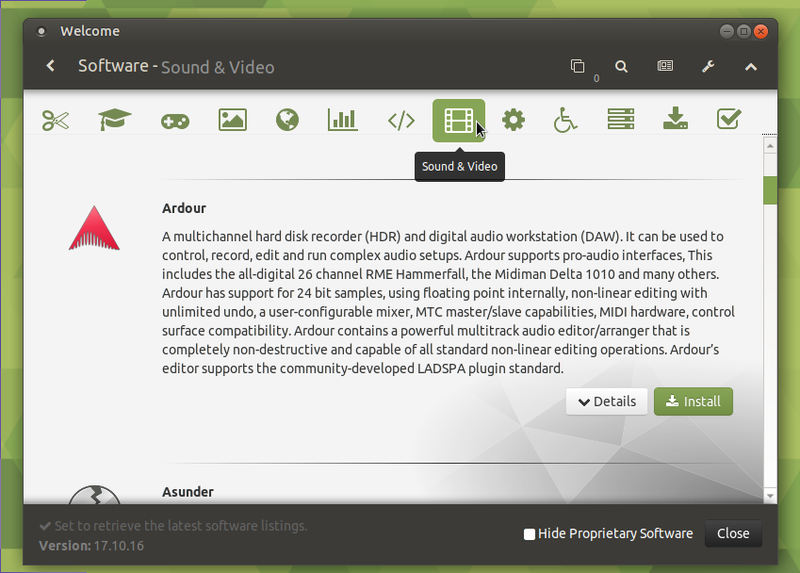 Over the years, distros like Zorin OS and desktops like KDE Plasma have offered features that let you quickly change the layout of your desktop to resemble different operating systems or desktop environments. 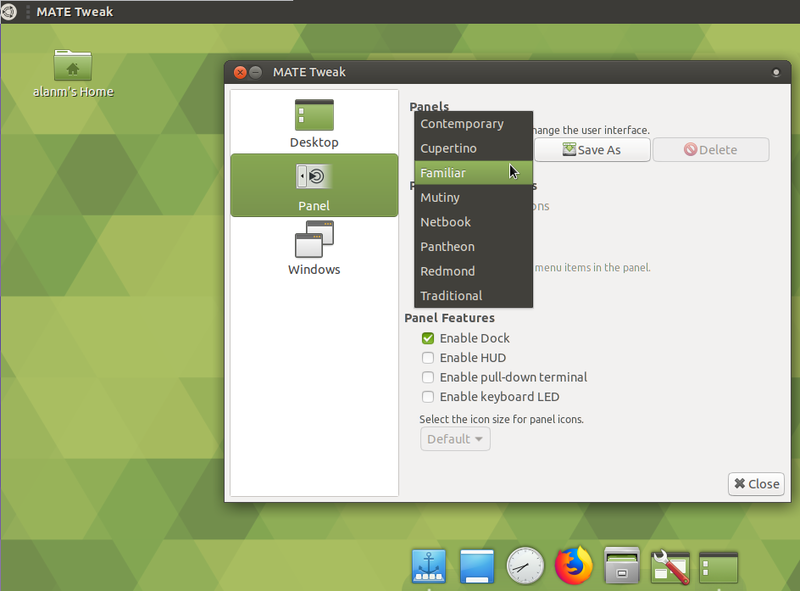 Of all the attempts at this feature I’ve seen, Ubuntu Mate’s panel tweaks (found in the MATE Tweak tool) really gets this right and makes it complete. 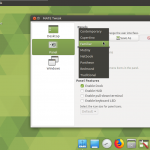 Although you can find the basic feature in any distro that ships MATE, enabling all the possible panel layouts requires extra software that isn’t always included or easy to install on other distros. UME comes with 8 panel layouts ready to rock out of the box, allowing your desktop to mimic Windows, macOS, Ubuntu Unity, elementary OS, and more – all from a single drop-down menu. The layouts are more than just moving panels around the screen, too; each setting enables additional features or software that really completes the emulation. For example, the “Cupertino” setting (emulating macOS) enables an animated dock at the bottom and a global menu in the top panel, while the “Mutiny” setting (emulating Ubuntu with Unity) puts a Unity-style dock on the left and a drop-down HUD just like Unity’s. Besides making users comfortable in their new OS environment, this feature is just plain fun to play with. What desktop do you want to mimic today? For years, desktop environments on Linux basically offered a choice between fancy-yet-heavy and light-but-plain; MATE strikes a nice middle ground, running just fine on a ten-year-old Thinkpad but offering plenty of features and a reasonably modern look-and-feel. 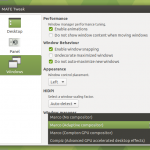 The Ubuntu Mate Edition developers have extended its range further by providing you with four options for your window manager setting. You can easily change from a simple lightweight manager with no effects for older hardware, or ratchet it up all the way to a fully-composited desktop with impressive visual effects. All the details are taken care of for you, letting you easily find the right balance between slick visuals and snappy performance. One major problem for new Linux users is figuring out what software to install; cut off from the old familiar options, they’re often frustrated trying to find quality software in the sheer vastness of most package management tools. UME answers this need with its Software Boutique – a package management front-end featuring a curated collection of the best software available from traditional .deb repositories as well as the new snap format repos. While users will eventually want to move to a more complete tool like GNOME software center or the venerable Synaptic, the Boutique is a great intro to some of the best software available for the platform. Every distro has a basic motivation that informs what it becomes. For some distros it’s ideological purity, pushing users into a particular workflow or mindset; for others, it’s a design ethos or aesthetic philosophy, attempting to create software that attains some platonic ideal; for yet others, commercial interests rule. For a few golden distros like Ubuntu MATE, the force driving the development team seems to be a desire to create an experience that regular people can actually use. While it’s not perfect in every regard, that energy definitely shines through, and I’m looking forward to seeing where the team behind this distro takes it next. In the meantime, I highly recommend Ubuntu MATE edition to anyone looking to check out Linux for the first time, or set up a Linux computer for a casual user in their life. Be sure to check out 18.04 when it arrives in a few weeks! These are the thoughts of Alan D Moore, offered for your benefit or entertainment. Patrick Storer on How to write a good band bioExcellent resource. Thanks!